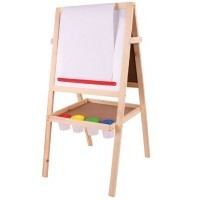 This wonderful wooden alphabet board is just the ticket for children who love mixing learning with fun. 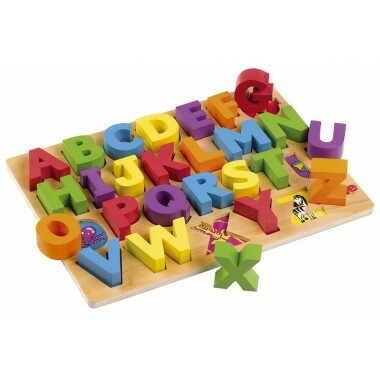 Twenty six chunky and colourful letters sit on a natural wood board. Remove each letter to reveal a related image. 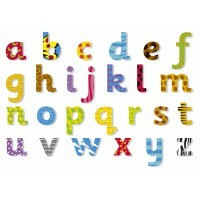 For example, an octopus sits under the O and a zebra is under the Z. 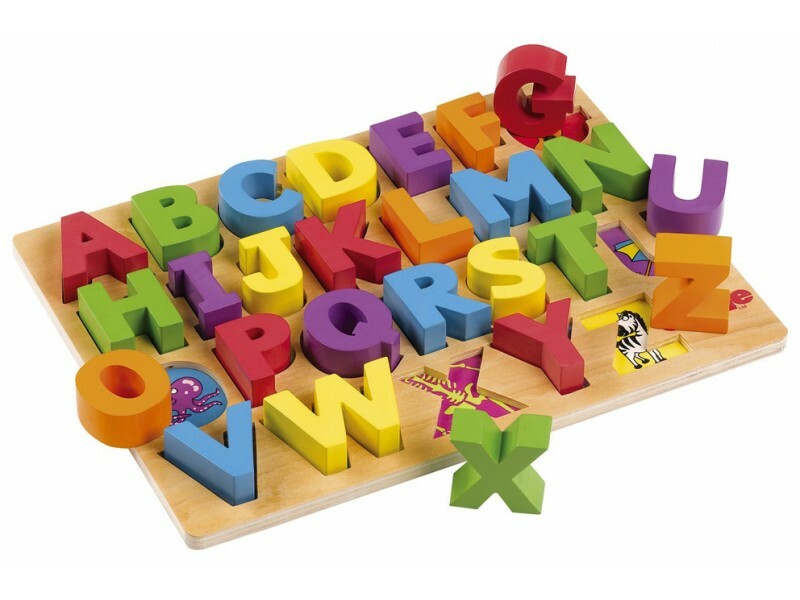 This simple but beautiful wooden toy will help children with language and literacy skills as well as fine tuning their coordination and motor skills. Board dimensions: W30.5cm x D22.5cm x H1.2cm.